Πληροφορίες για το προϊόν: "Skills Builder STARTERS 1 - Student's Book"
Skills Builder is a series of six books, in full colour, providing systematic practice of all four major skills (Listening, Reading, Writing and Speaking). The series is divided into three levels - Starters, Movers and Flyers - with two books at each level. 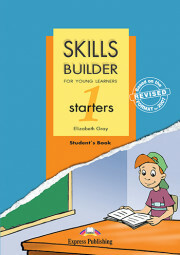 Skills Builder Starters 1 is the first book in the series. It is designed for young learners at primary level and can be used to supplement any primary course. Key Features appropriately balanced practice of all four language skills meaningful use of language in clear and accessible contexts text and pictures presented in a clear and attractive way, which takes into account the age and interests of young learners motivating, learner-centred tasks which offer children opportunities to have fun while practising activities designed to familiarise young learners with realworld tasks, such as carrying out instructions, locating, summarising, note-taking, etc The Teacher´s Book provides: a full key to the exercises in the Student´s Book tapescripts of all the listening material warm-up and follow-up activities for each task a thematic vocabulary list and a list of the grammatical structures covered. 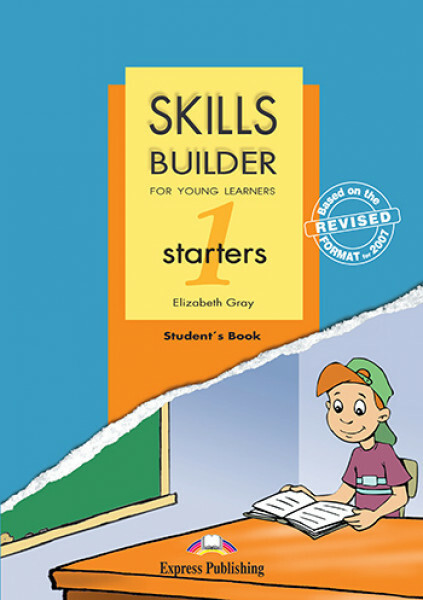 Σχετικά Links από "Skills Builder STARTERS 1 - Student's Book"
Σχόλια επισκεπτών για: "Skills Builder STARTERS 1 - Student's Book"